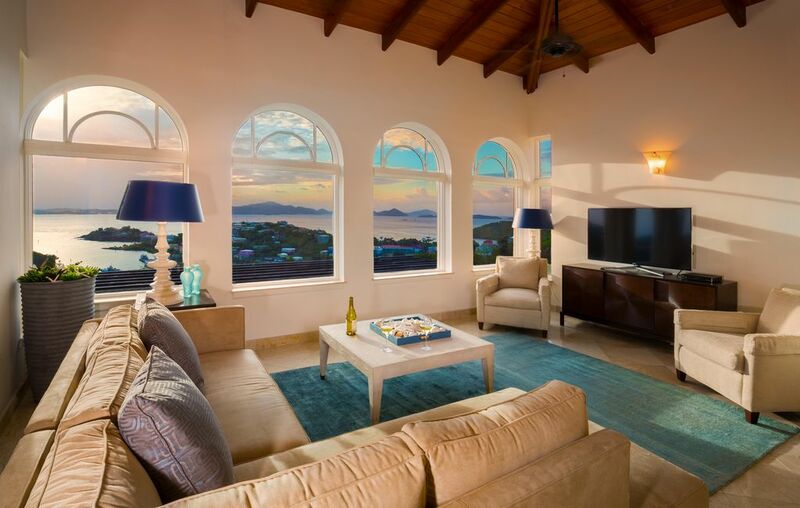 Ideal location with gorgeous views of the Caribbean Sea. 2 bedroom/2.5 bath. The VacationVI staff will assist you with arrival/departure, rental vehicle, provisioning, reservations, excursions, etc. We will meet with you upon your arrival, give you a tour of your residence and provide you all necessary information. We have a concierge on property 7 days a week to assist you as well. Our goal is to ensure that you enjoy the best of St. John and have everlasting memories! Sirenusa is a beautiful gated community on the hillside overlooking cruz bay. Carrie was very helpful in all areas of service. She have great recommendations. They beach chairs and a cooler, which we used every day on the 7 beaches of the north shore. We'd will be back. Great spot, close to grocery store, town, and beach. I will be back next year. It's a was a wonderful surprise for a last minute booking! It was beautifully decorated and worked perfectly for two couples! Loved the two full masters! Great view. Bigger then expected. Pristine location that is a 2 minute drive to town for shops and restaurants, and 10 minutes to several beautiful National Park beaches. Located in a safe, gated community with access to the gym, pool, and clubhouse. Gorgeous St. John awaits you!